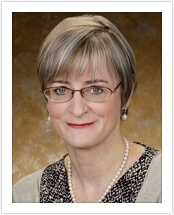 Dr. Gayle Marie Stewart is a board-certified obstetrician and gynecologist with more than 16 years of experience. She is a native of Salt Lake City. Dr. Stewart completed her undergraduate degrees in Nutrition and French from the University of Utah and a Master in Public Health from Columbia University in New York. After spending several years working in public health clinics, she returned to school to pursue her medical degree at Indiana University in Indianapolis. She completed her OB/GYN residency at the University of Tennessee in Memphis. Since finishing her residency training, Dr. Stewart has been back in Salt Lake City working in private practice. She enjoys being close to her extended family and the mountains. Some of her favorite activities are traveling, hiking, gardening and reading. She enjoys spending time with her daughter and extended family. Some of her favorite activities include traveling, hiking, gardening and reading.